Presents 90 outstanding pieces made by celebrated jeweller Gustav Faberge, including two of the famous imperial Easter eggs. The firm of Faberge, jeweller to the Russian court, was founded in St. Petersburg in 1842. Expanded by the founder's son, Peter Carl Faberge (1846-1920), the firm became one of the most famous jewellers of the late nineteenth to early twentieth centuries. Major American collectors, such as Marjorie Merriweather Post, played a significant role in Faberge's success after the fall of the imperial regime, and her mansion at Hillwood in Washington, DC now has a collection of about ninety pieces, including two imperial Easter eggs, various works of art of imperial provenance, silver, jewelry, hardstone, and religious items. Recent research on Faberge, revelations from the Russian public archives, and the discovery of objects thought to be lost have brought to light new information about Faberge's career and his creations, including material on several of Hillwood's Faberge items. With fabulous new photography, exquisite works of art, and illuminating focus spreads by Faberge experts, this new volume presents the firm in the broader history of nineteenth to twentieth century jewelry and goldsmithing, documents new attributions and provenances, and examines our continuing fascination with Faberge's remarkable work. 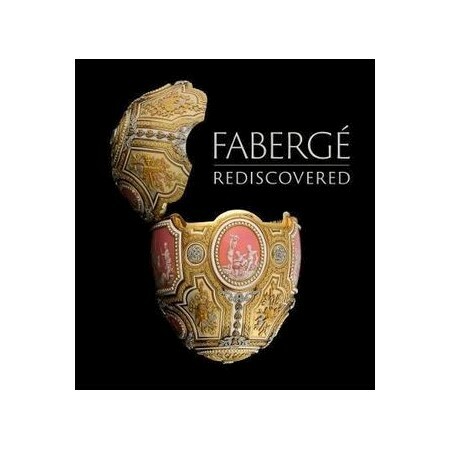 Presents 90 fabulous pieces made by celebrated Russian jeweller Peter Carl Faberge. Wilfried Zeisler is Hillwood's chief curator.